Del. Alfonso Lopez (D) of Arlington has reintroduced legislation that provides in-state college tuition, under certain conditions, for the children of undocumented immigrants. 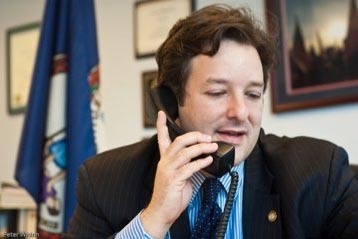 Modeled after the federal DREAM Act, Lopez’s bill (HB 1934) would provide in-state tuition at public Virginia universities for undocumented students who graduated from a Virginia high school or GED program, provided they attest to filing an application to become a permanent U.S. resident. The bill would also requires that the student and/or a parent has paid Virginia income tax for at least three years. HB 1934 is now awaiting a vote in the House of Delegates Education committee.